Calloway County is a county located in the state of Kentucky. Based on the 2010 census, the population was 37,191. The county was created in November 1822. 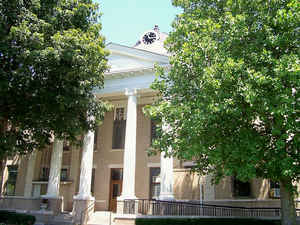 The county seat is Murray. Calloway county is named for Colonel Richard Callaway, one of the founders of Boonesborough. Calloway County comprises the Murray, KY Micropolitan Statistical Area. Calloway county is named for Colonel Richard Callaway (1722-1780), one of the founders of Boonesborough. He was a representative of Kentucky County in the Virginia General Assembly. Calloway county was formed in 1823. It is located in the Jackson Purchase region of the state. The elevation in the county ranges from 359 to 640 feet above sea level. In 2000 the county population was 34,177 in a land area of 386.25 square miles, an average of 88.5 people per square mile. The county seat is Murray. As of July 18, 2012 Calloway County is a moist county: the sale of alcohol in the county is prohibited, with the exception of the city of Murray. As reported by the Census Bureau, the county has a total area of 411 square miles (1,060 km2), of which 385 square miles (1,000 km2) is land and 26 square miles (67 km2) (6.3%) is water. Calloway county is located in west Kentucky. The elevation in this county is 550 feet above sea level. Kentucky Lake is located in Calloway county.